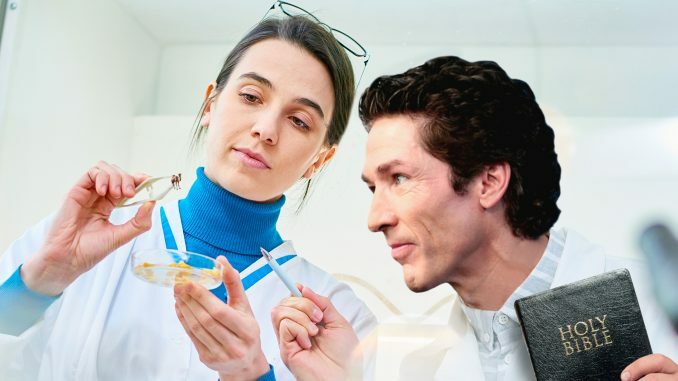 HOUSTON—Megachurch pastor Joel Osteen has nearly accomplished his goal of creating a genetically miniaturized camel that can fit through the eye of a needle, a church spokesman reported Thursday. According to the spokesman, Osteen has been financing private scientific research in recent years in an attempt to mitigate wealth-related warnings found in the Holy Bible. Osteen’s research mission stems from a New Testament passage where Jesus Christ cautions his disciples that “it would be easier for a camel to pass through the eye of a needle than for a rich man to enter heaven.” This warning followed an exchange between Christ and a rich young ruler who had kept all of God’s laws, but was unwilling to give away his wealth and follow Christ. Osteen is the senior pastor of Houston’s Lakewood Church, with an estimated net worth of $50,000,000. Traditional doctrine posits that it was not the rich young ruler’s wealth itself that hindered his faith, but rather his attitude towards the money. Osteen would like to prove that it was actually the rich young ruler’s lack of access to modern genetic science. At press time, it was reported that Osteen was also developing an emergency device that can shatter millstones, should one ever be placed around his neck.